CLEANCLASTER ensures quicker Glyphosate* and Glufosinate* absorption, it’s characterized by a greater basipetal and acropetal translocation for enhance herbicide action. CLEANCLASTER allows to reduces until 50% Glyphosate and Glufosinate ammonium dosage normally for making environmental benefit. CLEANCLASTER permits to obtain best results against poorly sensitive and resistant weeds on Glyphosate and Glufosinate ammonium products. CLEANCLASTER enhances Glyphosate and Glufosinate ammonium activity in presence of weeds much developed or not in the best vegetative conditions. 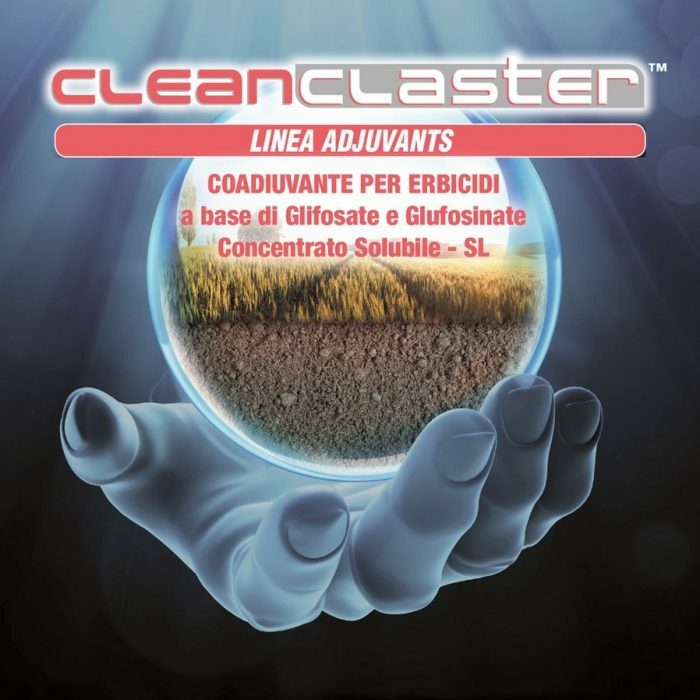 CLEANCLASTER allows to obtain a greater readiness action also low temperatures. * ‘Use plant protection products safely. Always read the label and product information before use’. It’s advisable to insert CLEANCLASTER first in barrel for acidify the solution and then put other herbicides. precautionary rules prescribed for the most toxic products. In intoxication case, inform the doctor about complete mixing.